The Central Coast of California, best known for its unrivaled climate and beauty, is the home of many world class vineyards and wineries, as well as horse and cattle ranches, ocean view estates, and beautiful residential enclaves. Our firm is located in the heart of this enchanting and historic part of California. Found on one of the main avenues in quaint Santa Ynez is the Bohlinger Building where our office houses a small group of experienced, professional agents. These professionals, with over 70 years combined experience in selling California horse and cattle ranches, wineries and vineyards, as well as residential properties, can provide guidance to a buyer or seller with any type of transaction. We have specialists in Commercial Real Estate, REO's and Short Sales as well. 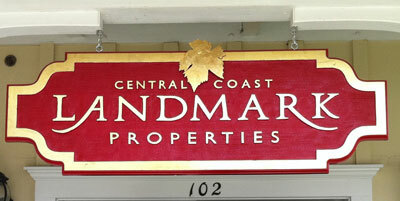 Our company covers a wide spectrum of luxury properties in locations from Ventura to Cambria. The Central Coast is a great place to call home. We can help you make it yours. Please feel free to browse our website and use our search engine to locate an area or style of ranch or home you desire. Then feel free to call us with any questions.